The folks of mobileaks.nl have published a fresh render of the Samsung Galaxy S5, the 2014 flagship from the South Korean company. 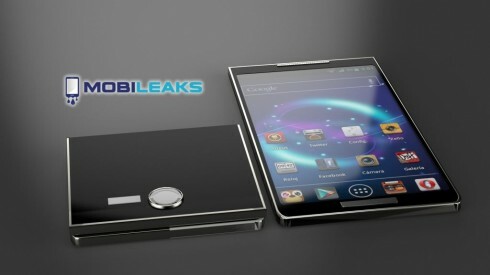 With the Galaxy S4 already launched on major markets and the Galaxy Note 3 being part of the rumors already, we can start dreaming about the Galaxy S5, I guess. The source claims that Samsung has been exploring various innovative technologies, like flexible and bendable AMOLED screens. 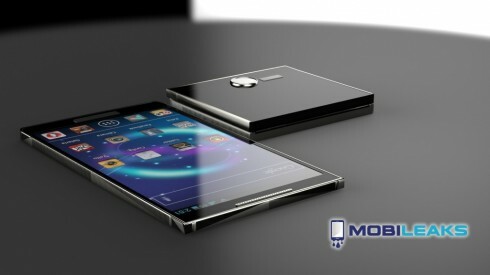 Those are expected to go into production close to the year end, so expect foldable smartphones to come soon enough. The Samsung Galaxy S5 is one of them, with a screen that can be folded in and out, without requiring a hinge or a cut through the middle. The render here involves a 7.5 mm thick handset, that once folded around amount to double that thickness, but also half the length. The Galaxy S5 abandons the curves of the past two generations and goes back to the Galaxy S II styling, something that many people have been asking for. Are we truly ready for a phone we can bend in two?